In early 2017, ADM was privileged to award over $50,000 in small grants to eight churches in the greater-Sydney region for ministries to welcome and support arriving Syrian and Iraqi refugees. The grants were provided as part of the Syrian Iraqi Refugee Response led by Anglicare, in collaboration with five Anglican agencies, including ADM.
Around 1,200 refugees have been served this year by ministries funded through ADM grants. Churches have used the ADM grants – ranging from $1,300 to $16,000 – to create programs including welcome BBQs, homework clubs, ESL classes, playgroups, day trips, women’s dinners and employment support. Now, reports have come back from some of the churches and we share a selection of their encouraging stories. God has certainly been at work! Bankstown Anglican Church received a grant of $4,000 to fund an English conversation class and to provide employment support to refugees and asylum seekers looking for jobs. The grant enabled connection with over 150 Syrian and Iraqi refugees. He said, “I am a forklift driver. I need to get a license to work in Australia but it is very expensive”. With the ADM grant, Majd was able to pay for the license and undertake the course. Not long after he messaged me and wrote, “Good evening Priest. I am so happy I passed writing test and verbal test. I got through forklift license. Thanks Jesus and thank you a lot”. Soon after, Majd found a job locally and started full-time work. It has made many things possible. He has bought a car, found a better unit to rent and Majd’s English is improving all the time because no one speaks Arabic at work. In January, their family welcomed the arrival of a baby boy. Majd and his family are Syrian Orthodox, yet they became some of the familiar faces at our Bible meeting and community dinners. The ADM grant made all of this possible. Gymea Anglican Church received a grant of $4,100, which allowed them to renovate a church house in order to accommodate a refugee family. The refurbishing of the house was done (where possible) by church volunteers, with the grant helping to cover hiring a plumber and electrician. Hoxton Park Anglican Church received a grant of $16,000, which funded a range of activities and ministries. These activities met people’s practical needs for food, clothing, heating, and assistance in organising accommodation. M is from Bagdad, Iraq, and came to Australia as a refugee. He came from a committed Muslim family. But over several years he had three dreams of Jesus, where Jesus reached out and pulled him out of the pit of mud that he was stuck in. Once he got to Australia, he was curious about church but did not know what to do or where to go. An acquaintance invited him to the Arabic church service at Hoxton Park. He came and heard the gospel preached in his own language, and he put his faith in Jesus. M now comes to church every week and rejoices in what God has done for him. He was baptised at the Arabic church conference in January, along with six other people. Join us in praying for the rest of M’s family, that they also come to know Jesus as Lord and Saviour. 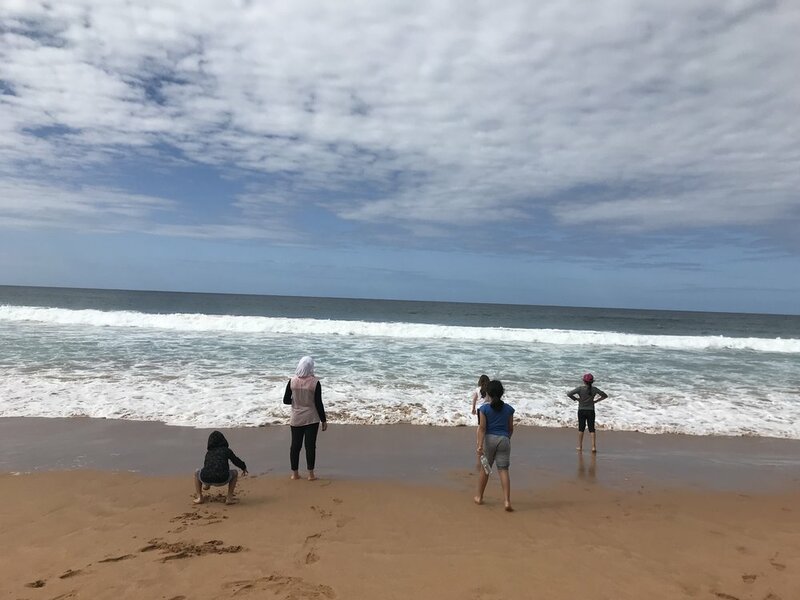 St Andrew's Anglican Church, Lakemba used their grant to reach almost 200 new migrants and refugees through programs and excursions, including this one to Palm Beach. At St Andrew’s Anglican Church, Lakemba, a grant of $16,000 funded a variety of programs and opportunities to reach almost 200 new migrants and refugees! The church ran excursions for refugees to beaches and the mountains, a spring market, various community picnics and barbecues, and a Christmas dinner for approximately 80 women and their children.